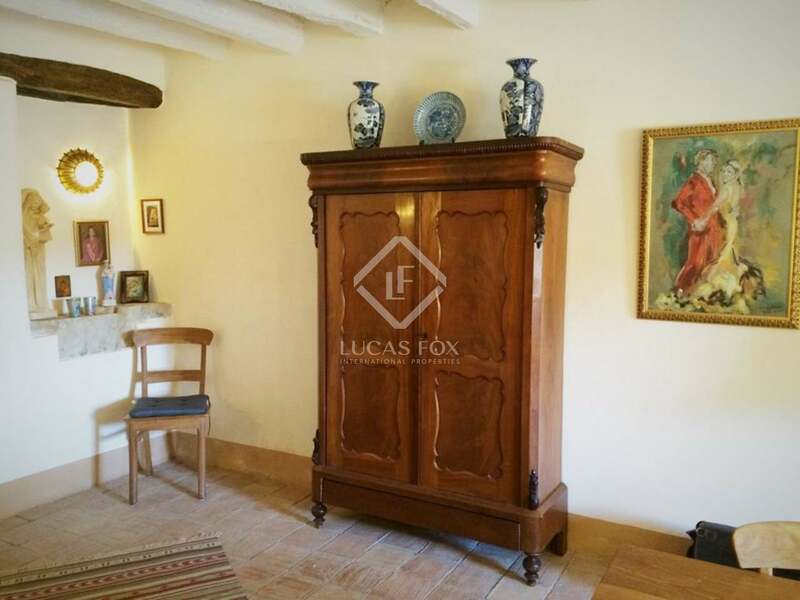 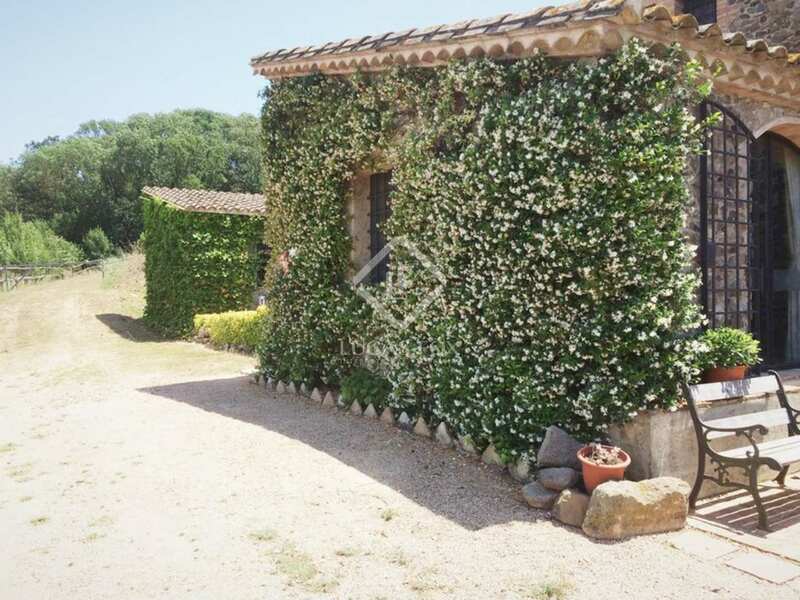 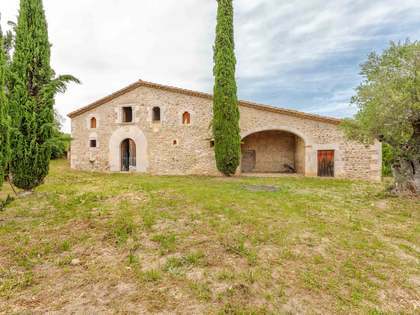 This superbly restored 18th Century masia is ideally located just 75km from Barcelona, 18km from Girona and 30km from the nearest beaches of the Costa Brava. 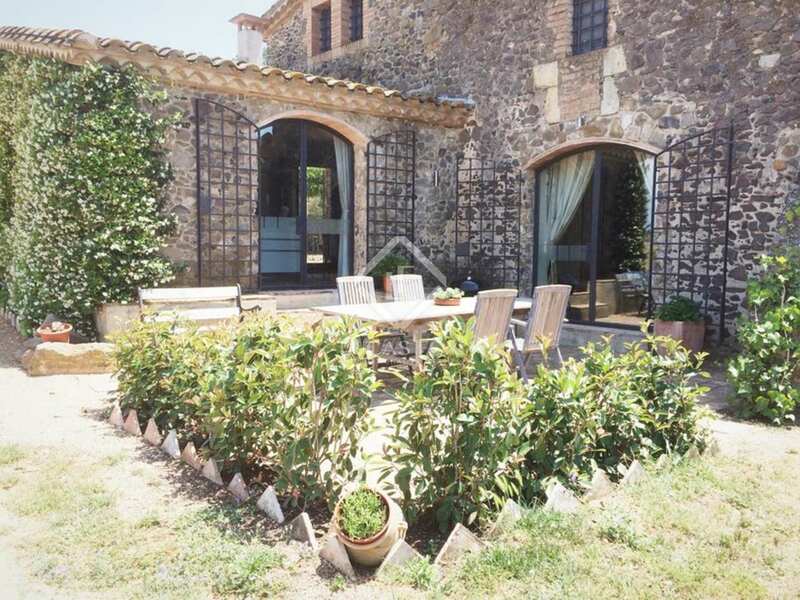 The property was originally restored in 1992, and subsequently by the current owner as recently as 2007. 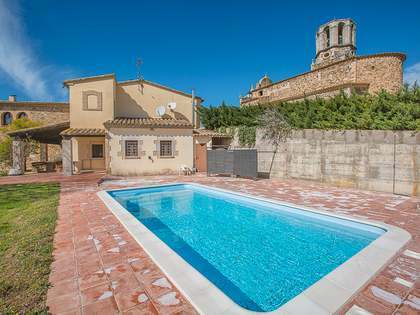 The restoration has been carried out to the highest standards with superb attention to detail and in sympathy with the property's original architecture. 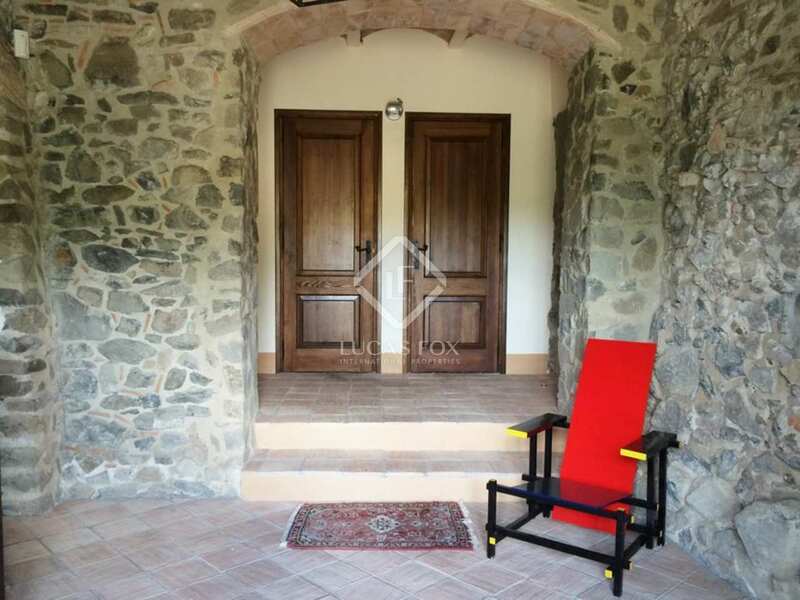 The recent restoration works also included the installation of brand new services, including electricity, water, central heating and drainage. 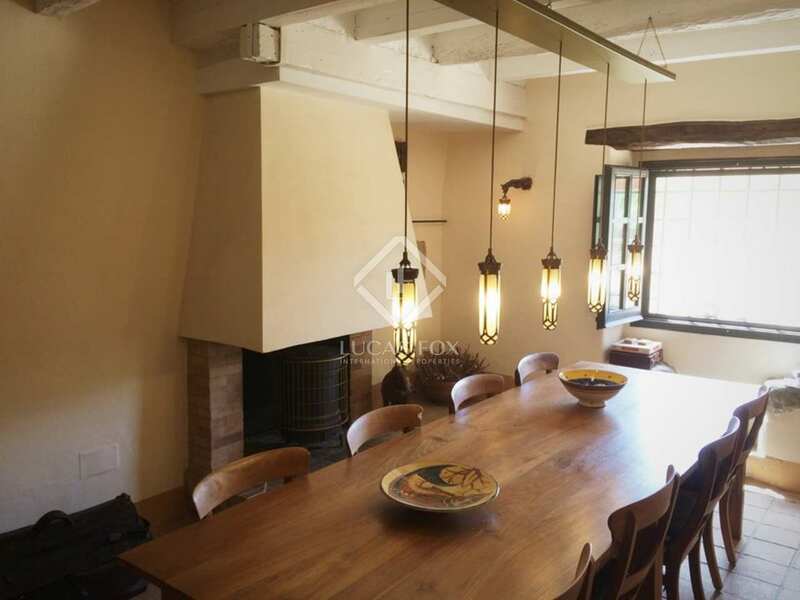 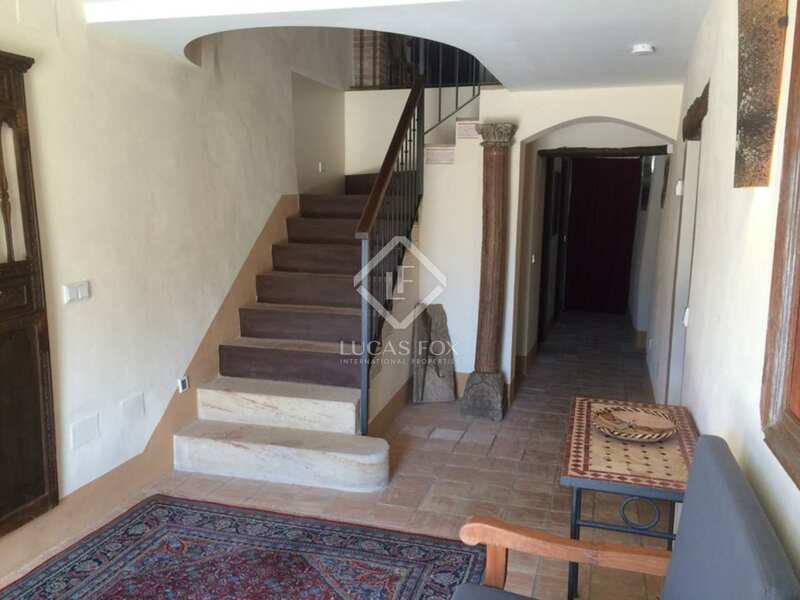 This Girona property to buy offers 450m2 of living space including 7 bedrooms and 7 bathrooms and the house is set in 9500m2 of private grounds - including exterior terraces, outdoor dining areas and a salt water swimming pool (10m x 4.5m). 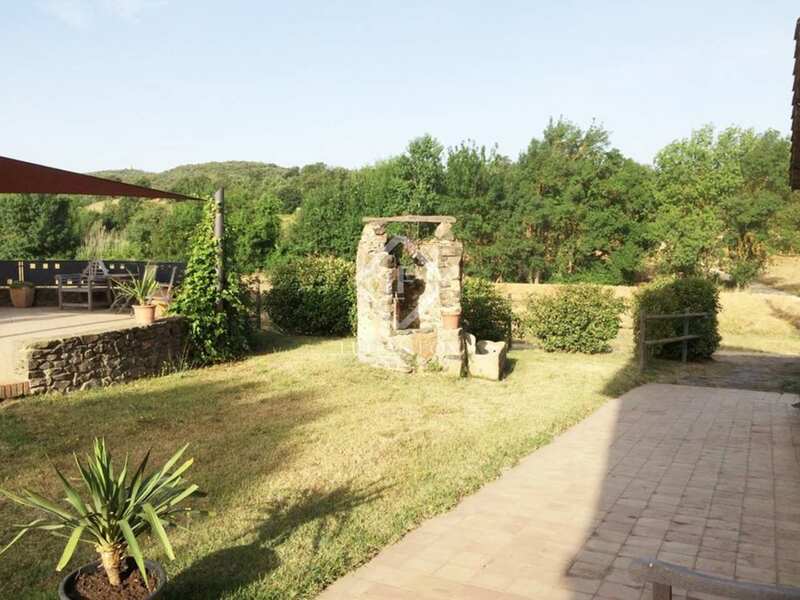 The property also enjoys far reaching views over the surrounding countryside to the hills of the Montseny Natural Park. 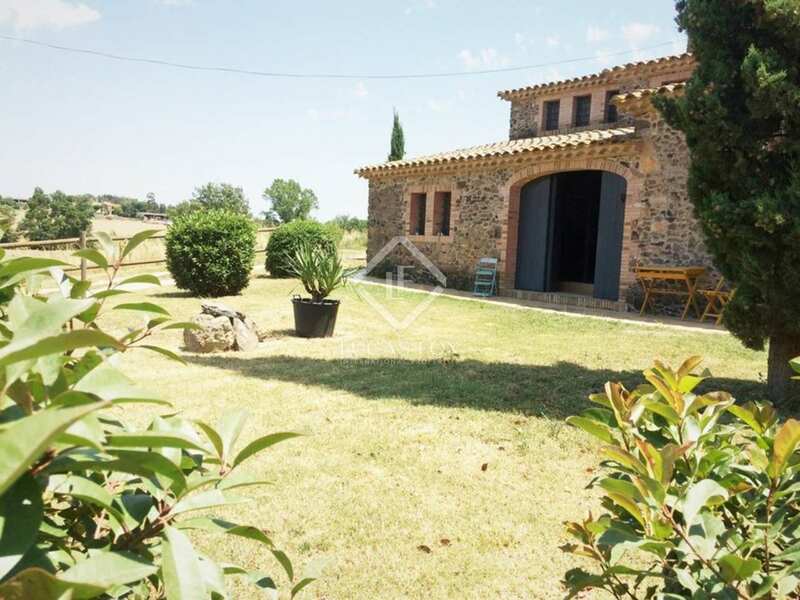 The masia is constructed over two levels and has been set up as two separate dwellings - one of which is the owner's private residence and the other a rural guesthouse. 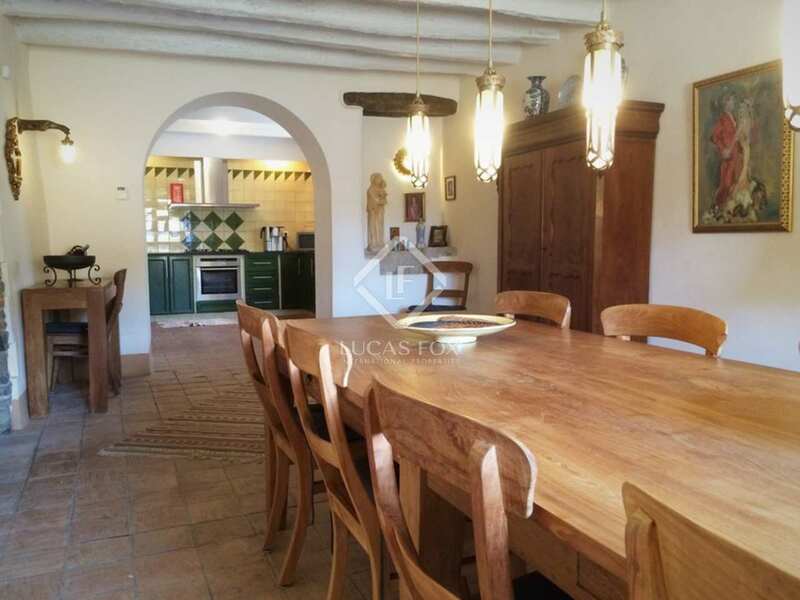 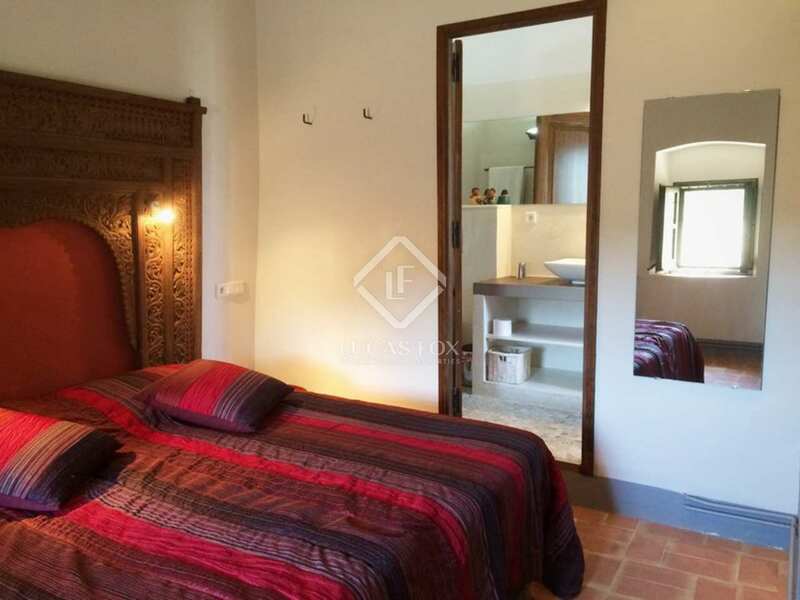 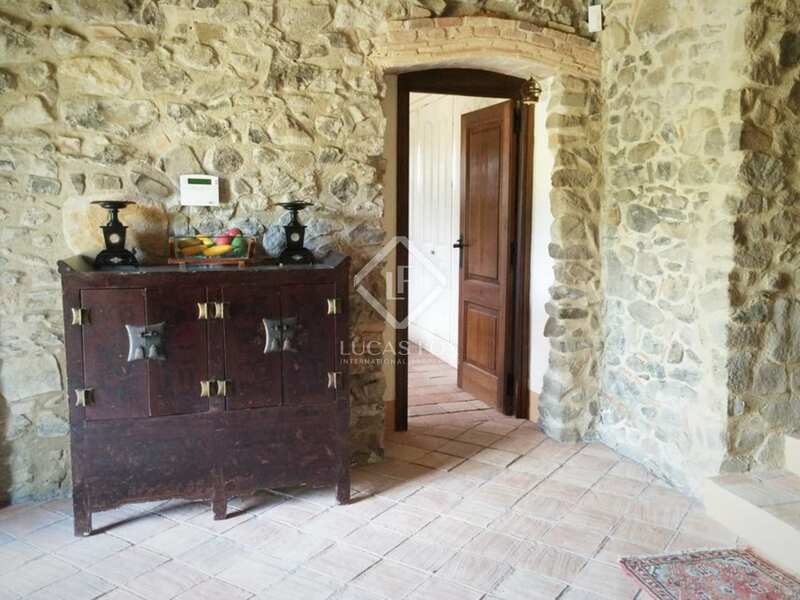 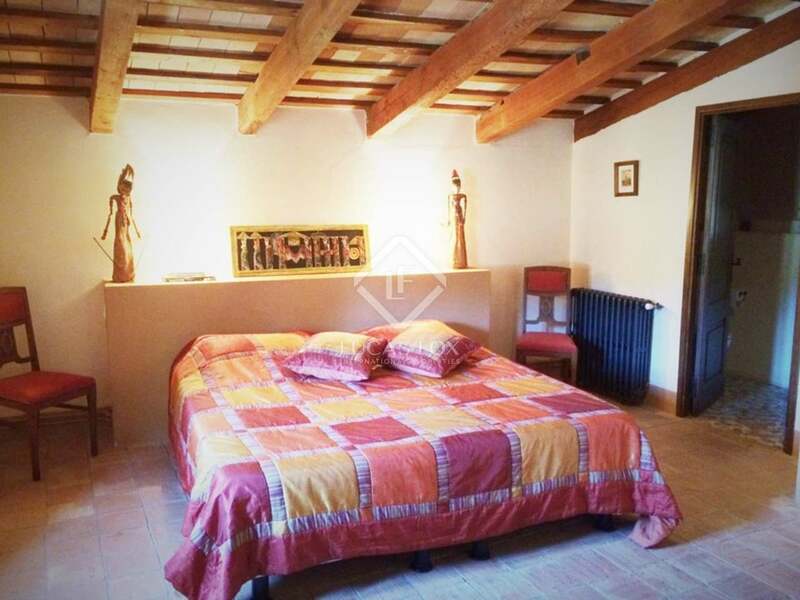 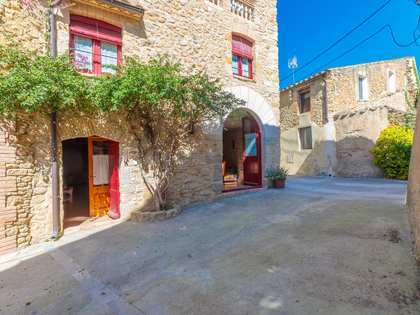 The masia is packed with features typical of this style of property, including handmade ceramic floortiles, exposed beams and exposed stone walls. 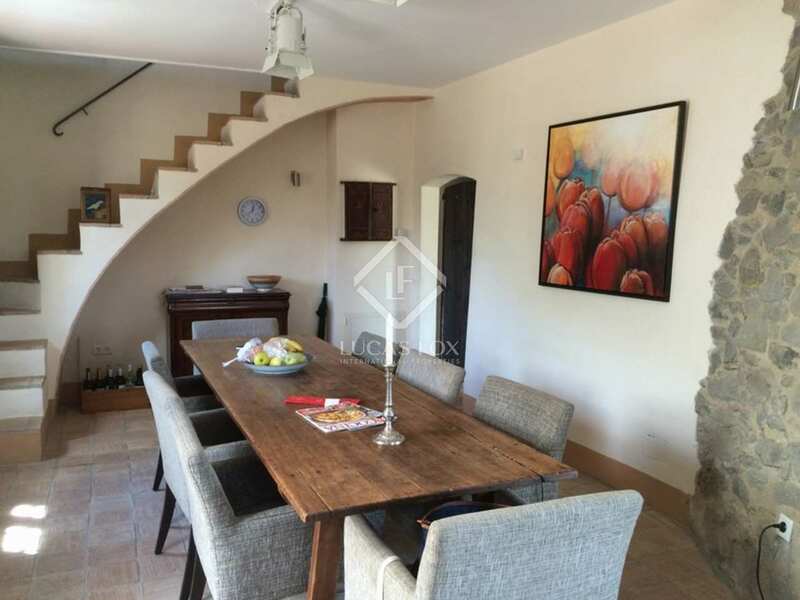 The property has central heating throughout, with underfloor heating on the ground floor and radiators on the first floor. 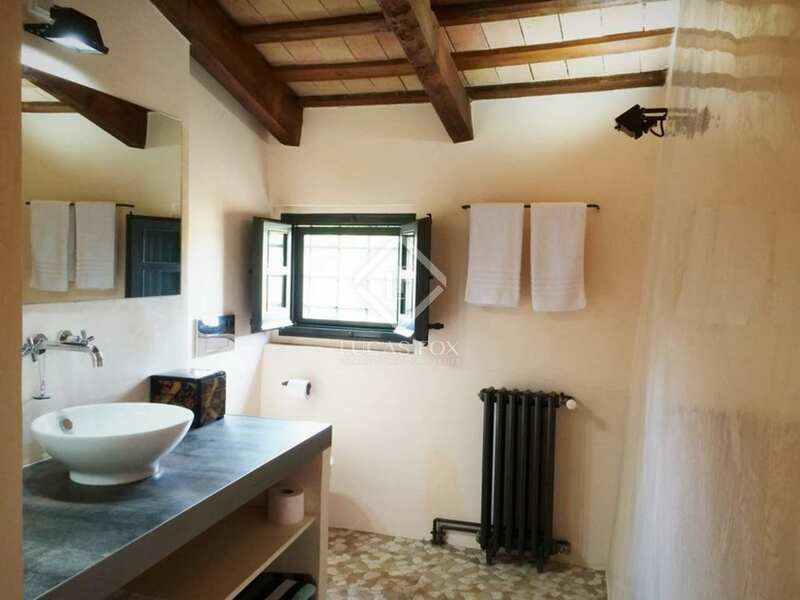 The central heating is powered by propane gas. 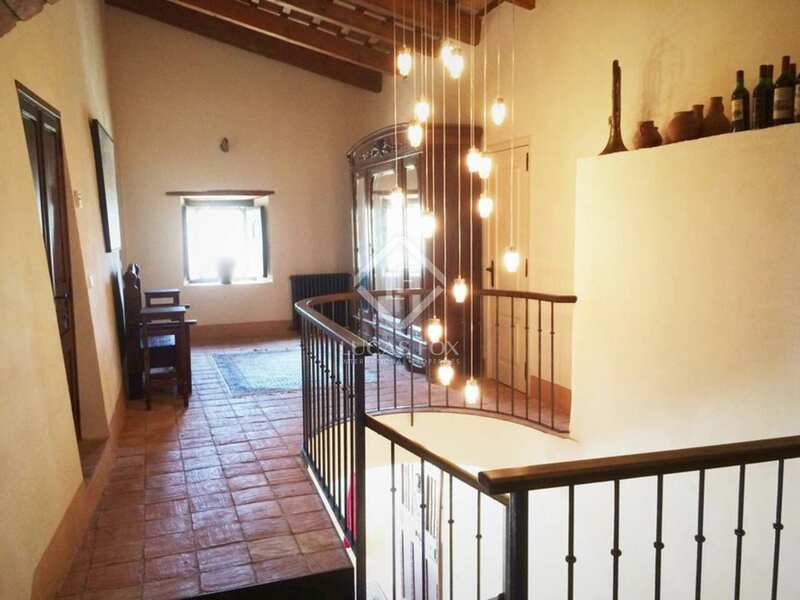 The property's water supply is pumped from two private wells. 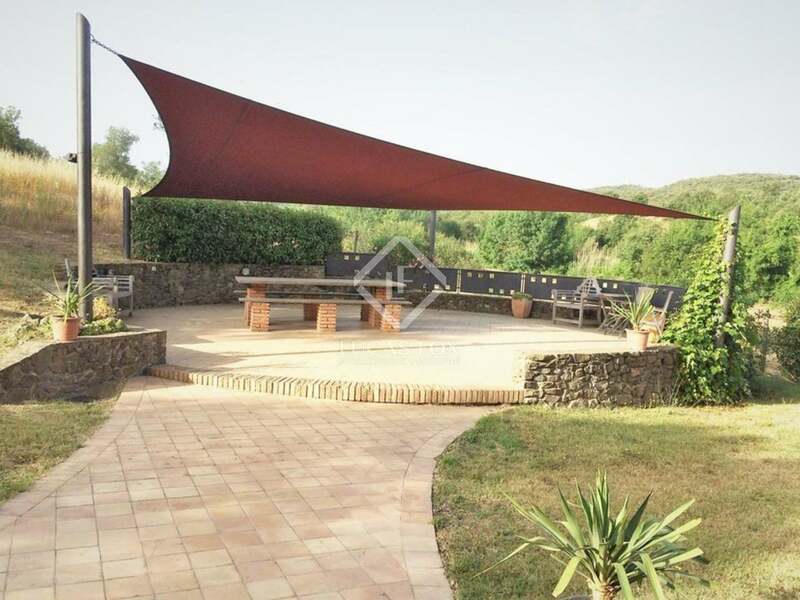 The rental business can turnover up to €3.000 per week in the high season and, in its first year, the owner achieved 20 weeks occupancy, making this a very attractive commercial venture. 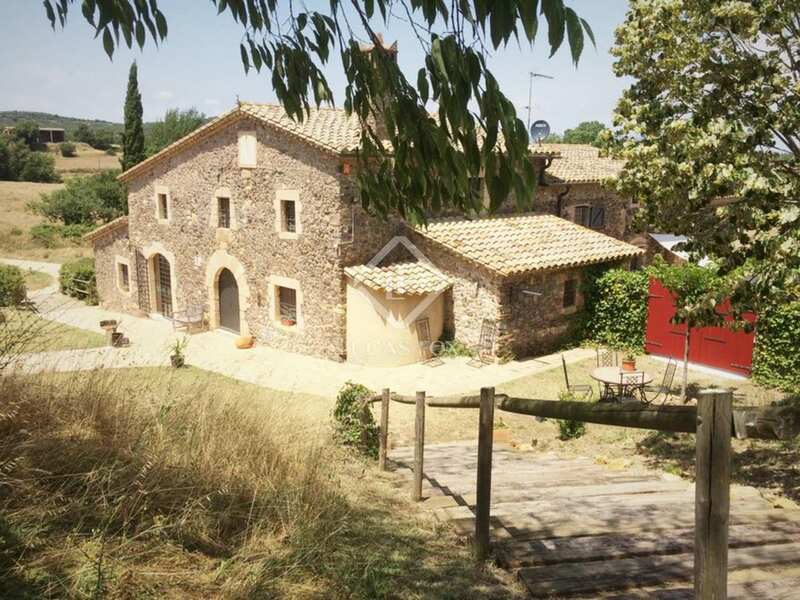 The property's annual running costs amount to €15.000. 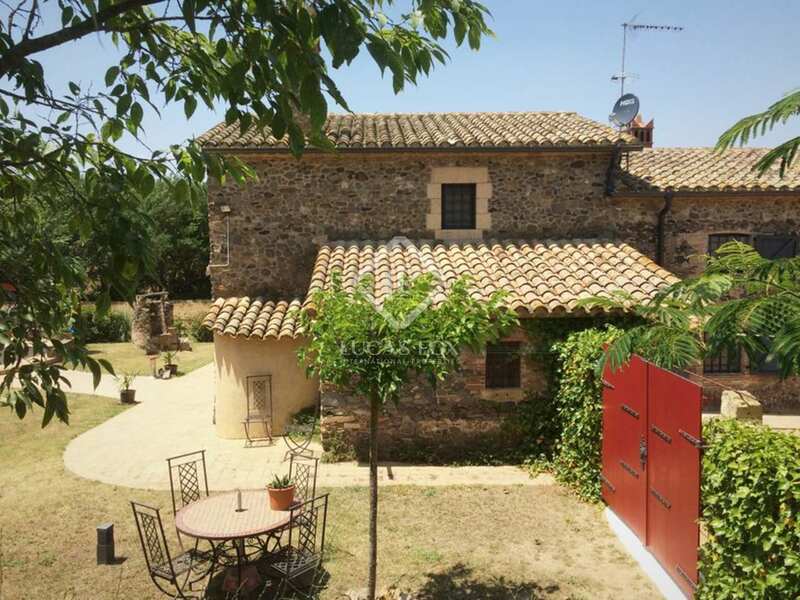 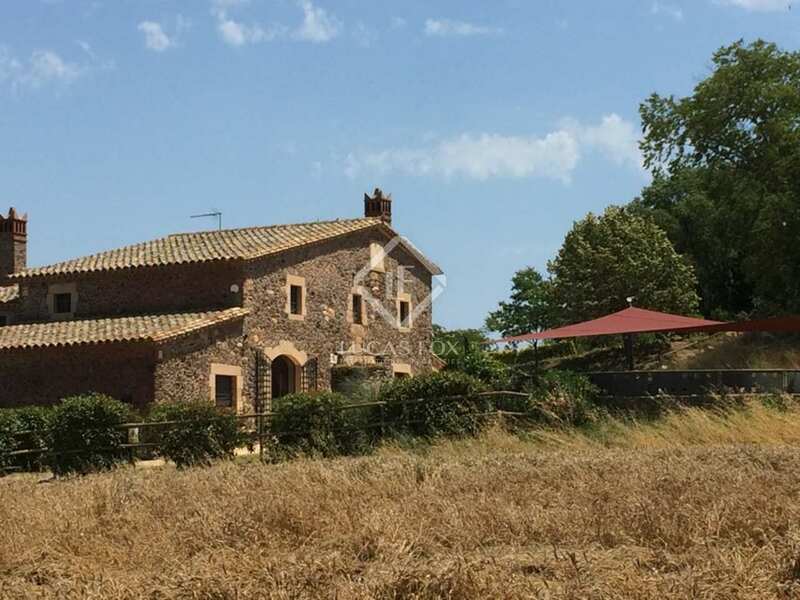 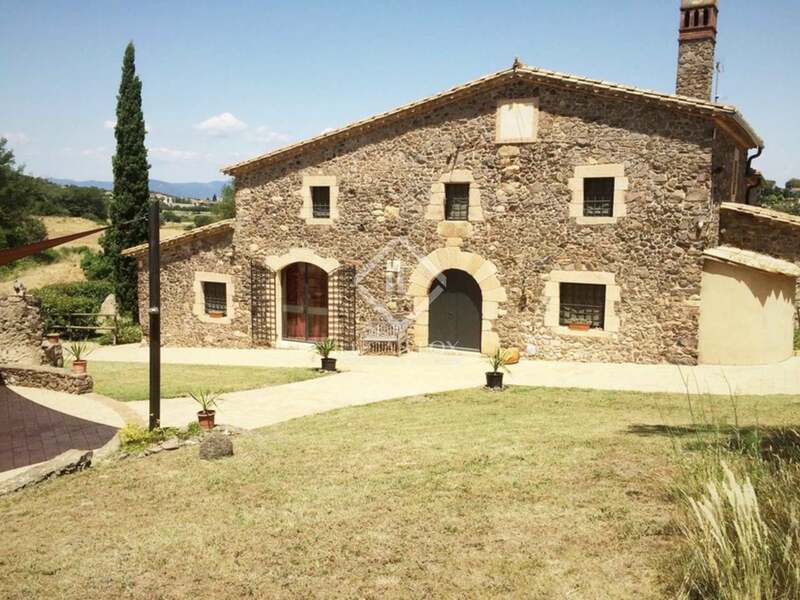 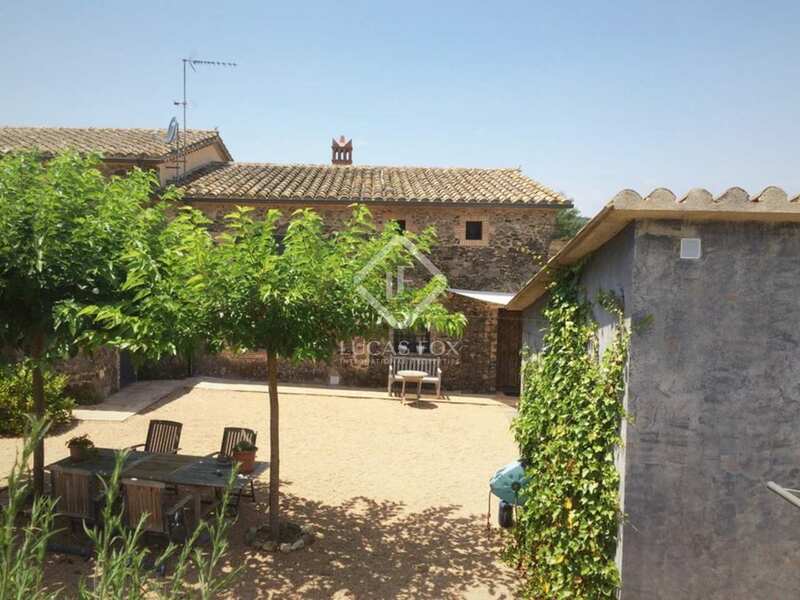 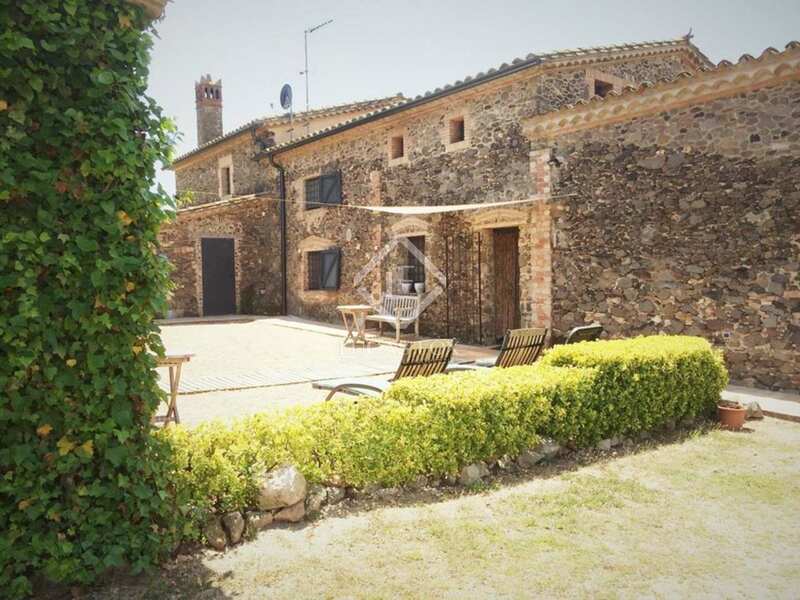 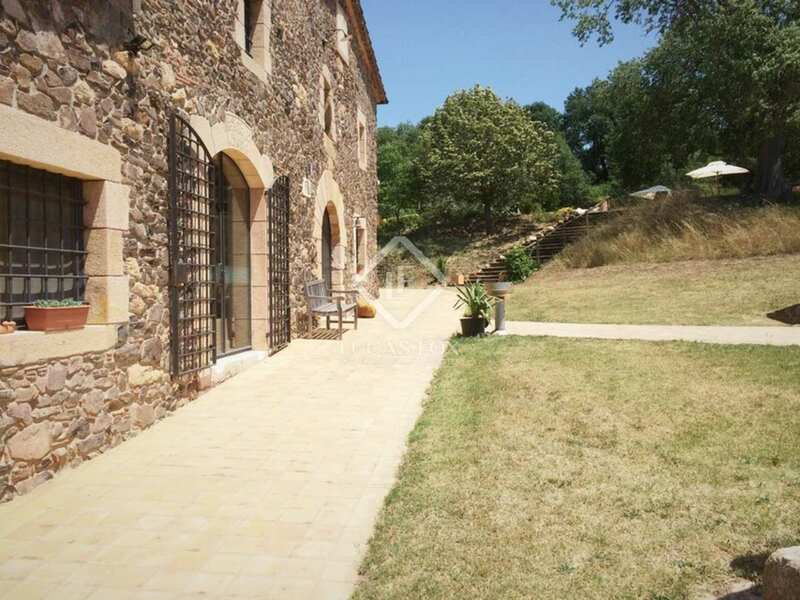 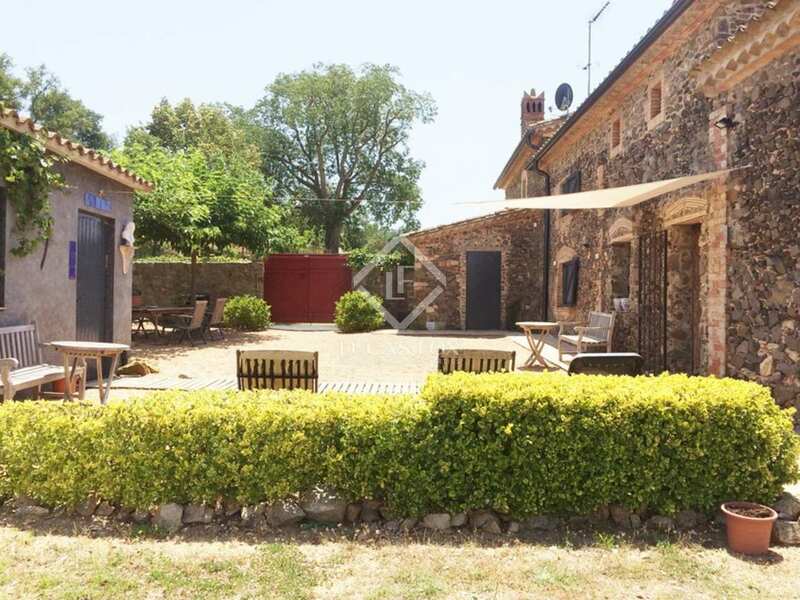 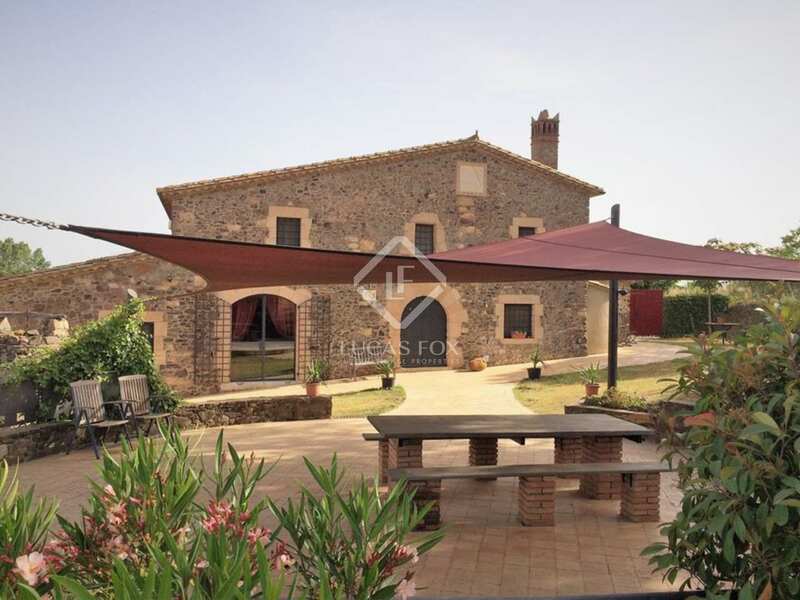 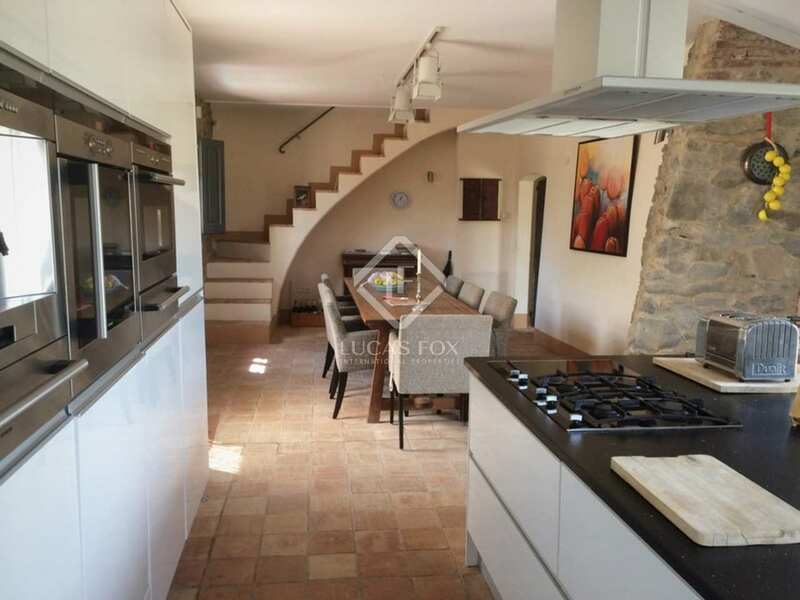 This property to buy would be ideal for someone wishing to run a rural guesthouse in a superb countryside location with easy access to Barcelona, Girona and the coast. 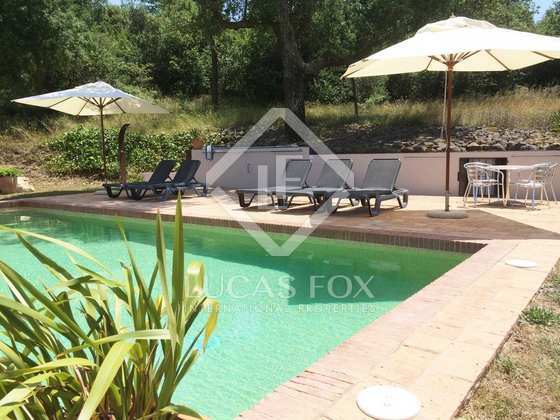 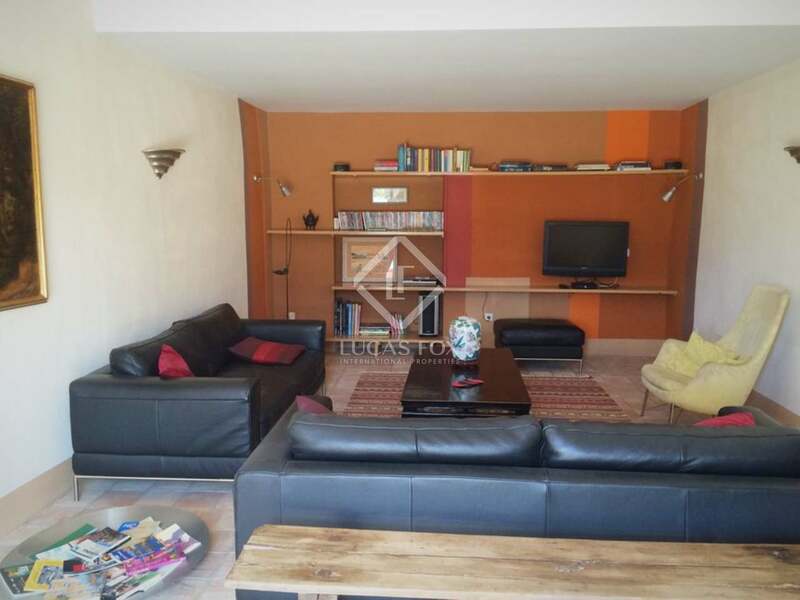 The property would also make a wonderful family home for both holidays or year round living.